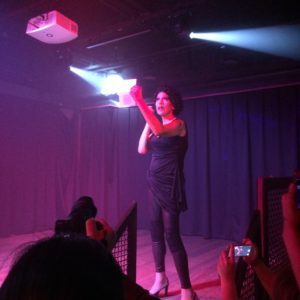 (Vancouver, BC) The kick-off of this year’s Talking Stick Festival began with a bang! Last night, February 17, 2017, festival goers were treated to a performance from San Francisco’s Brush Arbor Gurlz, or BAGz, and the local and talented #Two-Spirit diva, Quanah Style, at Vancouver’s Odyssey Bar & Nightclub. 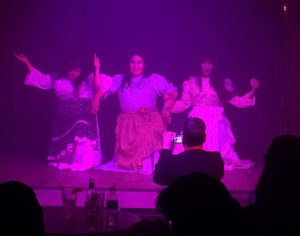 BAGz is Turtle Islands’ only Native American drag queen ensemble and is comprised of several Nations such as the Chickasaw, Cherokee, Choctaw, Navajo, Ojibwa, and Tohono O’odam Nations and even sports one non-Native. The group’s name is based on the building of brush arbors by Southeastern Nations for social and religious occasions. 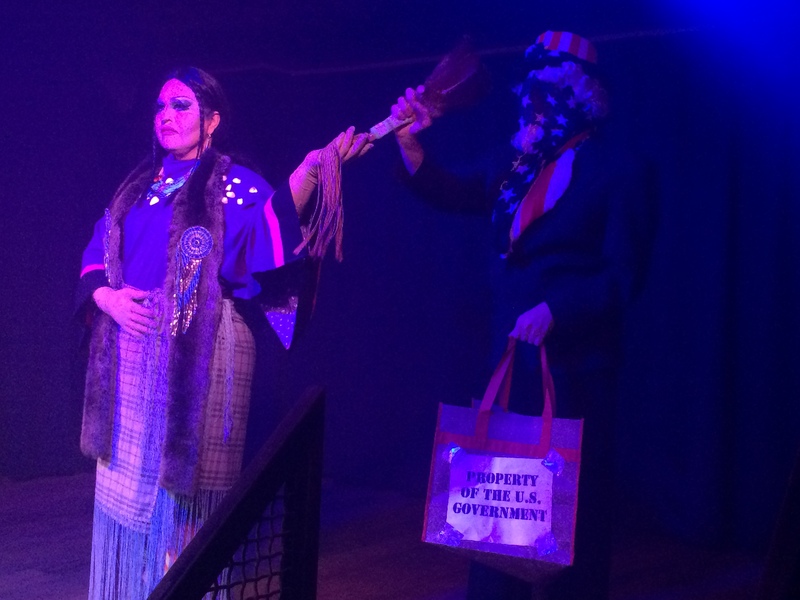 Founded in 2004 by Landa Lakes (Chickasaw), BAGz contribute to the Two-Spirit scene from politics to comedy. The performers at last night’s event were Samantha Richards (Diné), Uphoria (Squamish), Miso Hornay and Arbor matriarch Landa Lakes (Chickasaw). The Brush Arbor Gurlz (BAGz) invite you to join them for a drag workshop. 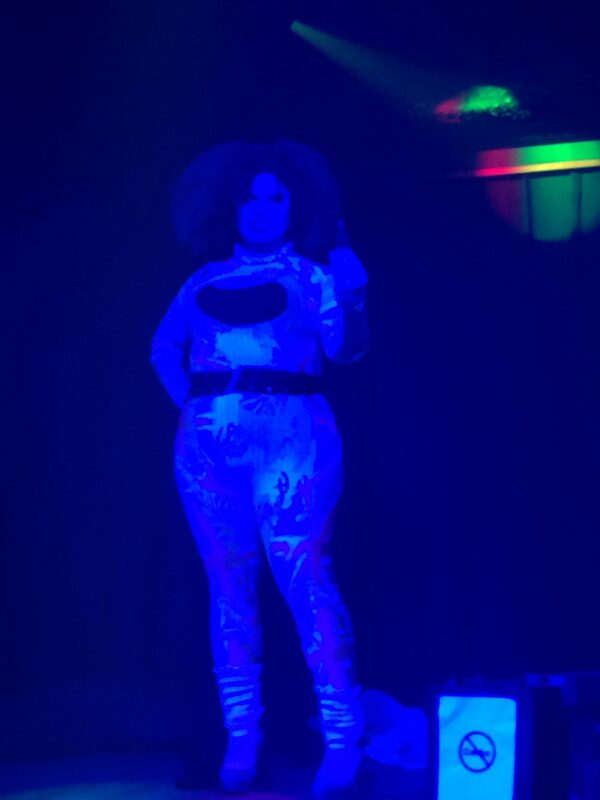 The BAGz see drag as a way to transcend gender and express themselves politically through their performance art. They will demonstrate their transformation process with makeup, lashes and wigs while discussing Native issues, Two-Spirit identity, performance pieces, inspirations and empowerment by their alter egos. Join us for AMP it UP, a practical, hands-on, media training/workshop to develop, strengthen and supportwork with media outlets. Wouldn’t it be great if we had a personal publicist or a PR firm to manage and support our communication and media needs? Media outlets—newspapers, magazines, radio stations, television and Internet-based media/sites are important ways to inform a broad range of people about information, messages, issues, activities and events. Media is also an important tool in moving and shaping public opinion, discussions and conversations when done correctly. Full Circle: First Nations Performance, the host organization of the 16th Annual Talking Stick Festival from February 16-26, 2017 is western Canada’s premier Indigenous Performing Arts Festival featureing 11 days of entertainment including film, theatre, dance, celebration of powwow culture and Aboriginal artisan fair, métis fair, talking circles, music concert series, industry series and this year a drag queen show and so much more! The Talking Stick Festival is an open invitation to explore Aboriginal culture through the Arts and is proud to showcase extraordinary Indigenous performance and art featuring some of the best emerging and established Indigenous artists and provides a stage for artists from a variety of artistic expressions. It celebrates the traditional performance of many communities, as well as the contemporary and interdisciplinary work of Indigenous creators.